In the past, I got the teaching that Scrum Master only coach the team at the beginning (during Sprint Planning) and the end (during Sprint Review and Sprint Retrospectives) of the Sprint. 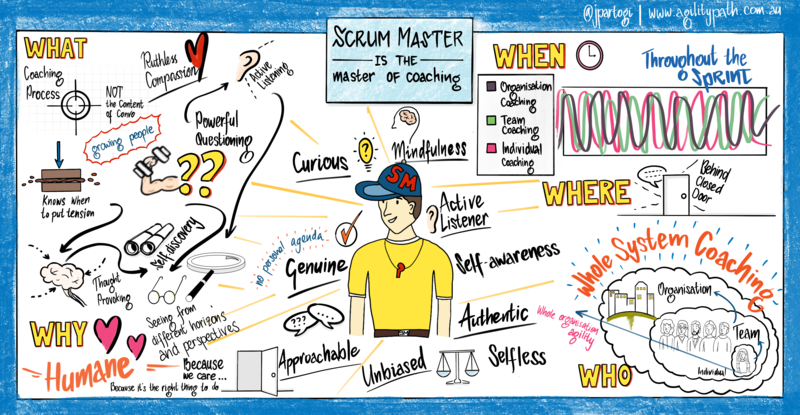 During the middle of the Sprint, the Scrum Master only focused on coaching individuals. As I gain a better understanding of both Scrum and coaching, my views has shifted. A great coach does not compartmentalise timings for organisation coaching, team coaching, and individual coaching. A great coach makes him/herself available at any point in time for anyone. From my experience, great coaching session happens at the least expected time. Coaching both the team and the individual at any point of time happens throughout the Sprint. Even in the middle of the Sprint, the Scrum Master is coaching the team to work effectively. For example, in the middle of the Sprint, the team may need to refine the Product Backlog or maybe doing mob-programming to solve complex problems. During these activities, the Scrum Master may pepper coaching aspects to improve the way teams collaborate. Not only the Scrum Master needs to coach the team and individuals, throughout the Sprint the Scrum Master may need to coach other parts in the organisation. The Scrum Master may even coach the CEO if he/she is causing impediments in the product delivery. The Scrum Master must make themselves available for coaching at every point in time. When organisation have this kind of perception, there is great value in having a full-time coach. Ideally, the coaching session should be triggered and requested by the coaching counterpart. In organisational life, often times the management may see an individual need a one-to-one coaching from the Scrum Master. In that case, the Scrum Master must not force the coaching session without any permission from the coaching counterpart. The coaching session will not be effective unless the coaching counterpart really wants to be there.